She has always been interested in human resource management and employment relations, says Lisi Ki Moana Tupou who came to AUT as an international student from Tonga. “I chose to study the Bachelor of Business in Human Resource Management and Employment Relations because I wanted a deeper understanding of human resource management and had always been passionate about the discipline. Choosing where to study was easy, says Lisi who was supported by a New Zealand Aid scholarship throughout her studies. “When I was shortlisted for the scholarship, I could pick two universities to apply to. I researched all my options, and AUT stood out because it had the best reviews in terms of support and a family-like culture. I knew that every university would give me a degree, but I also wanted a university that would give me a family away from home. AUT was that university. She enjoyed helping other students adjust to their first year at university, says Lisi who was one of the highest achieving students in the Department of Management and was on the AUT Business School’s honours roll in her first year. 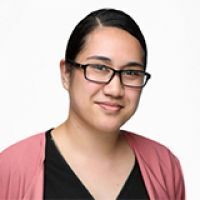 Since graduating in August 2018, Lisi has returned to Tonga and is now working for the Tongan government in the Prime Minister’s Office. She constantly draws on the skills she developed throughout her time at AUT.